Nestor Makhno (1888-1934) is a controversial figure in the history of the anarchist movement. For three years he led a guerrilla army campaign in Ukraine during the civil war that followed the 1917 Russian Revolution. He would sometimes summarily execute counter-revolutionaries, and his army conscripted some of its members. On the other hand, when his forces liberated a village or town from the control of the Czarists (the “Whites”) or from the Bolsheviks (the “Reds”), they would reopen the presses and meeting halls shut down by those forces and free everyone from the local jails. With his comrade, Peter Arshinov, and some other anarchists, he helped craft the “Organizational Platform of the Libertarian Communists,” which called on anarchists to form a federalist revolutionary organization based on collective responsibility, which some anarchists regarded as a vanguard organization that would function more like a revolutionary socialist party than a federalist anarchist organization. 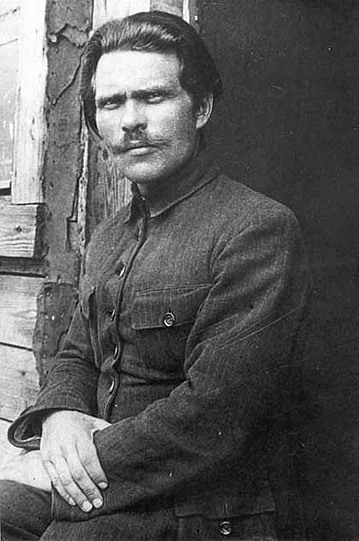 Around the same time as the Platform appeared, Makhno published this essay on the struggle against the State, summarizing his views on the tasks ahead based on the lessons of the Russian Revolution. 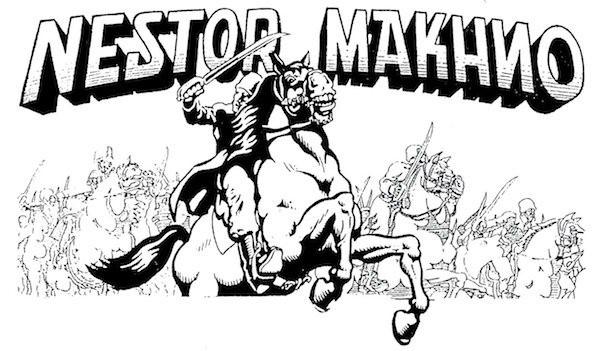 I included excerpts from the Platform and responses from some of its critics, including Malatesta and Voline, in Volume One of Anarchism: A Documentary History of Libertarian Ideas, as well as some proclamations by the Makhnovist army and excerpts from Arshinov’s history of the Makhnovist movement. The fact that the modern State is the organizational form of an authority founded upon arbitrariness and violence in the social life of toilers is independent of whether it may be “bourgeois” or “proletarian.” It relies upon oppressive centralism, arising out of the direct violence of a minority deployed against the majority In order to enforce and impose the legality of its system, the State resorts not only to the gun and money, but also to potent weapons of psychological pressure. With the aid of such weapons, a tiny group of politicians enforces psychological repression of an entire society, and, in particular, of the toiling masses, conditioning them in such a way as to divert their attention from the slavery instituted by the State. So it must be clear that if we are to combat the organized violence of the modern State, we have to deploy powerful weapons appropriate to the magnitude of the task. Thus far, the methods of social action employed by the revolutionary working class against the power of the oppressors and exploiters — the State and Capital — in conformity with libertarian ideas, were insufficient to lead the toilers on to complete victory. It has come to pass in history that the workers have defeated Capital, but the victory then slipped from their grasp because some State power emerged, amalgamating the interests of private capital and those of State capitalism for the sake of success over the toilers. The experience of the Russian revolution has blatantly exposed our shortcomings in this regard. We must not forget that, but should rather apply ourselves to identifying those shortcomings plainly. We may acknowledge that our struggle against the State in the Russian revolution was remarkable, despite the disorganization by which our ranks were afflicted: remarkable above all insofar as the destruction of that odious institution is concerned. But, by contrast, our struggle was insignificant in the realm of construction of the free society of toilers and its social structures, which might have ensured that it prospered beyond reach of the tutelage of the State and its repressive institutions. The fact that we libertarian communists or anarcho-syndicalists failed to anticipate the sequel to the Russian revolution, and that we failed to make haste to devise new forms of social activity in time, led many of our groups and organizations to dither yet again in their political and socio-strategic policy on the fighting front of the Revolution. If we are to avert a future relapse into these same errors, when a revolutionary situation comes about, and in order to retain the cohesion and coherence of our organizational line, we must first of all amalgamate all of our forces into one active collective, then without further ado, define our constructive conception of economic, social, local and territorial units, so that they are outlined in detail (free soviets), and in particular describe in broad outline their basic revolutionary mission in the struggle against the State. Contemporary life and the Russian revolution require that. Those who have blended in with the very ranks of the worker and peasant masses, participating actively in the victories and defeats of their campaign, must without doubt come to our own conclusions, and more specifically to an appreciation that our struggle against the State must be carried on until the State has been utterly eradicated: they will also acknowledge that the toughest role in that struggle is the role of the revolutionary armed force. 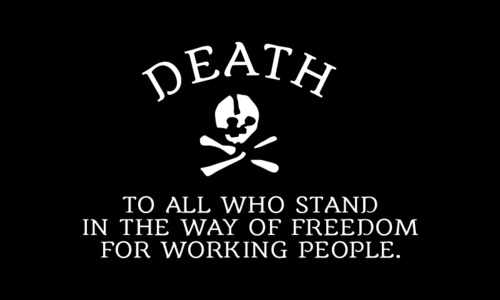 It is essential that the action of the Revolution’s armed forces be linked with the social and economic unit, wherein the labouring people will organize itself from the earliest days of the revolution onwards, so that total self-organization of life may be introduced, out of reach of all statist structures. From this moment forth, anarchists must focus their attention upon that aspect of the Revolution. They have to be convinced that, if the revolution’s armed forces are organized into huge armies or into lots of local armed detachments, they cannot but overcome the State’s incumbents and defenders, and thereby bring about the conditions needed by the toiling populace supporting the revolution, so that it may cut all ties with the past and look to the final detail of the process of constructing a new socio-economic existence. The State will, though, be able to cling to a few local enclaves and try to place multifarious obstacles in the path of the toilers’ new life, slowing the pace of growth and harmonious development of new relationships founded on the complete emancipation of man. The final and utter liquidation of the State can only come to pass when the struggle of the toilers is oriented along the most libertarian lines possible, when the toilers will themselves determine the structures of their social action. These structures should assume the form of organs of social and economic self-direction, the form of free “anti-authoritarian” soviets. The revolutionary workers and their vanguard — the anarchists — must analyze the nature and structure of these soviets and specify their revolutionary functions in advance. It is upon that, chiefly, that the positive evolution and development of anarchist ideas, in the ranks of those who will accomplish the liquidation of the State on their own account in order to build a free society, will be dependent.